Roasted vegetables tend to be favored more in the Fall and Winter; the cold and dark days just scream comfort food. And although Spring is officially here, Ohio is a little late in getting the memo, and the weather today is very Fall-like, which had me craving something savory…think warming curry, fiery ginger, and brightening red pepper. With those flavors in mind, and inspired by some recipes floating around, I decided to play with a recipe for roasted cauliflower. Been there, done that you say? Well, this recipe is a no muss, no fuss kind of deal; I roasted the cauliflower head whole (because isn’t cauliflower a messy little vegetable to cut up? I mean, cauliflower florets suddenly turn into confetti and go everywhere) after coating it in a fiery yogurt and coconut milk sauce. Let me tell you…the results are Mmmmmm! Looks pretty fabulous, doesn’t it? Preheat oven to 400F degrees. Wash, trim and de-stem cauliflower. Oil a shallow baking dish. In a medium bowl, combine all ingredients above (except the cauliflower) and mix well. Dip the cauliflower in the “sauce” and use spoon or hands to coat thoroughly. The thicker the sauce, the better! Reserve any excess sauce and set aside. 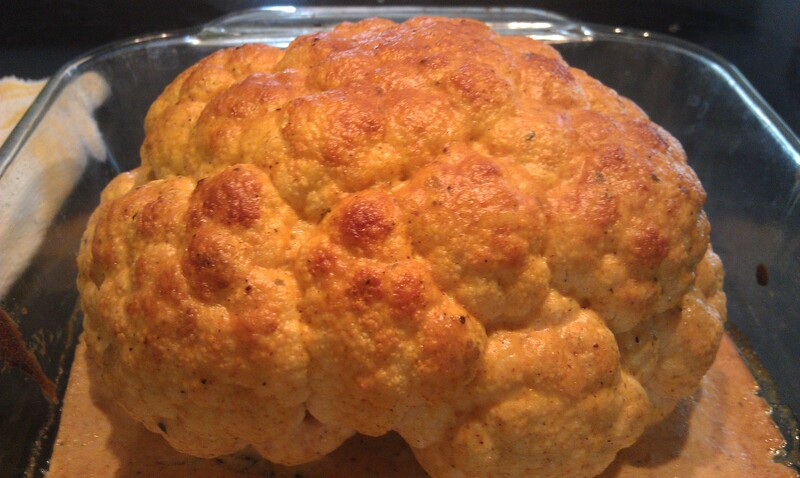 Place cauliflower head-side up in baking dish and place in oven. You are going to be a tasty little treat soon! Allow to cool for 5 minutes. Then cut cauliflower into wedges, and use reserved excess sauce for dipping. The result is a healthy, tasty and oh-so-easy dish that really satisfies when you are craving something savory, no matter the season! And since I love curry, this one really hit the spot for me! 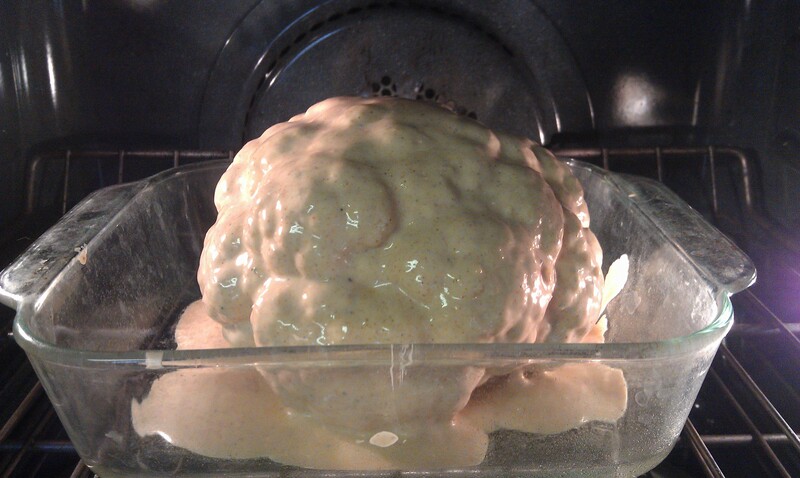 Have you ever roasted a whole cauliflower? If so, I’d love to hear your recipe variations! 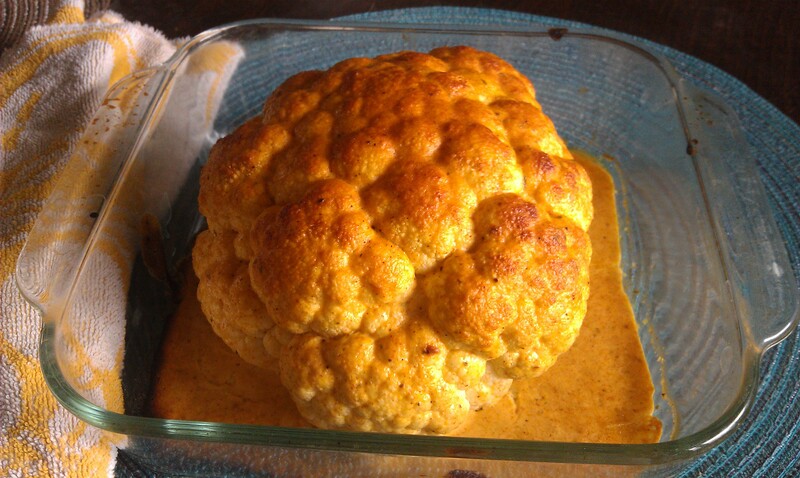 This looks yummy, we love cauliflower!!!! I will be trying this very soon!!! Awesome, Ahllam! 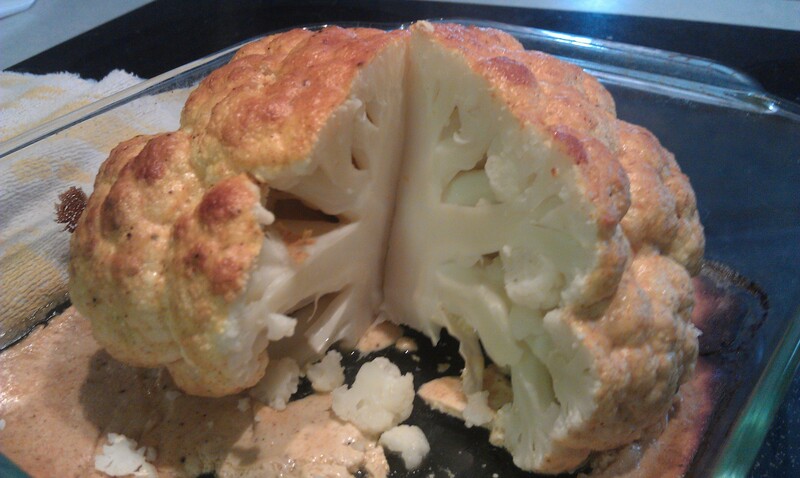 Another reader pointed out that if you like your cauliflower really well done, steaming before hand is a good option. So far I have been lucky, but thought I’d pass the tip along. 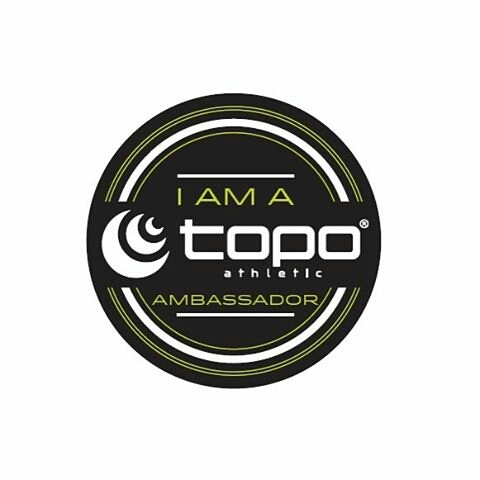 Enjoy…and let me know what you think if you try it!